When potential customers, employees or other individuals are interested in visiting your facility, how accommodating are you able to be? 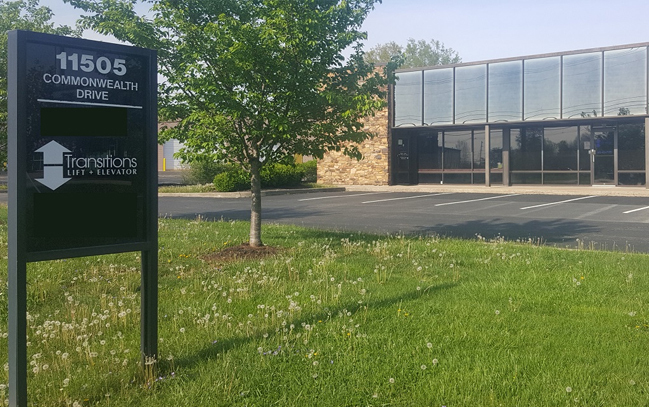 Owners of two-story commercial buildings who want to make their business compliant with the Americans with Disabilities Act (ADA) have a vested interest in seeing that any person who would like to enter will be able to do so without delay. Yet when you rely on a wheelchair to move, seeing a flight of stairs with no elevator in sight can be quite dismaying. Rather than frustrating individuals, you can open your doors to them by installing one of our sturdy and safe commercial chair lifts today. Imagine one of your hard-working employees becoming injured or ill and needing to use a wheelchair to get from point A to point B for the foreseeable future. This person’s work area is located on the second floor of your building. Rather than trying to find space on the ground floor, away from this employee’s colleagues, you can install a chair lift for your building’s stairs to provide greater freedom of movement. Or, consider that one of the more promising job applicants who sat across the table from your HR team uses a wheelchair. There’s no need for you to shut out talented individuals simply because of a mobility issue. As indicated by its name, a stair chair lift is designed to fit on the rail of a staircase. It operates quietly and is capable of holding 300 to 400 pounds, depending on which model you install. Upgrading your building like this allows you to open your business to a whole new set of customers. At the same time, you’ll expand the talent pool of potential workers once you make this reasonable accommodation. Safety is another benefit to keep in mind. If your company suddenly needs to evacuate the premises during a dangerous fire, flood or other calamity, every second counts. A commercial stairlift makes your building safer, since you don’t need to worry about wheelchair users being slowed down as they flee the disaster. Making your company’s facilities as open as possible to visitors — regardless of their disability — can improve your bottom line. You won’t have to make jobseekers feel left out or be concerned that a vendor or customer can’t get in to learn more about your products or services. Finding the perfect commercial stairlift for your building will take plenty of insider knowledge and experience. At Transitions Lift + Elevator, we are experts in all aspects of commercial chair lifts and would be happy to help you select the most appropriate equipment for your building. Our brand of preference is Bruno, the No. 1 manufacturer of stairlifts. When standard models just won’t do, our team can customize a new stairlift to your specifications. 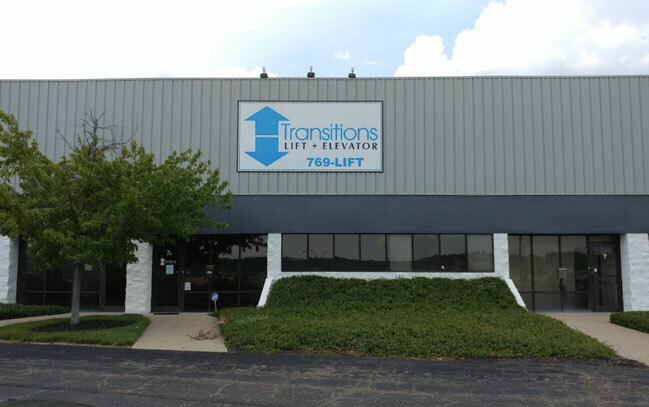 For details on choosing the ideal commercial straight rail stairlift in Cincinnati for your premises or to schedule a free consultation, connect with Transitions Lift + Elevator today. 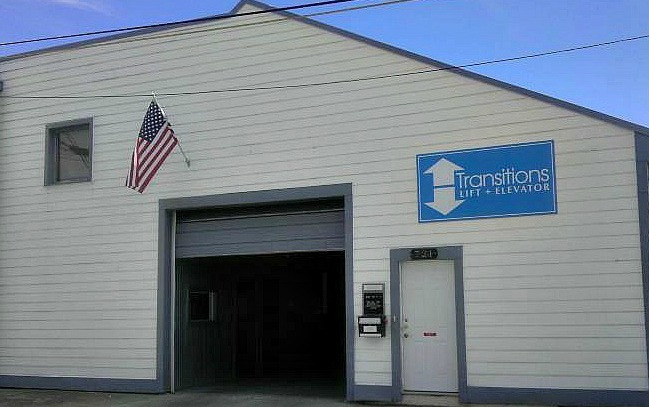 Please contact Transitions Lift + Elevator today at 513-769-5438.